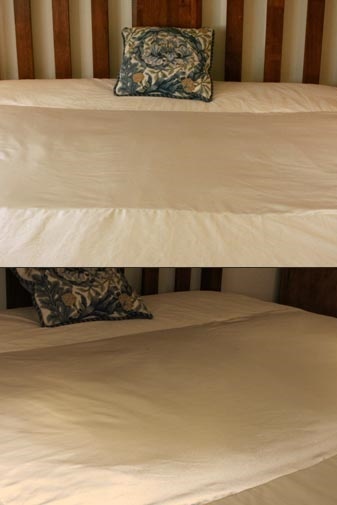 Cotton Polyester Plain Dyed fitted sheet with satin insert across the bed at torso level. These sheets facilitate movement in bed by reducing friction and were originally manufactured after a request from Parkinson’s WA. All sizes are available in a standard 35cm depth and some are available in a 45cm depth to accommodate deeper mattresses & mattress toppers.